Fig. 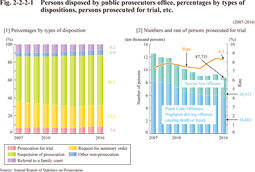 2-2-2-1  shows the percentages of conclusive dispositions made by public prosecutors (including juvenile cases) by types of disposition, and  shows the number and rate of persons prosecuted for trial. Fig. 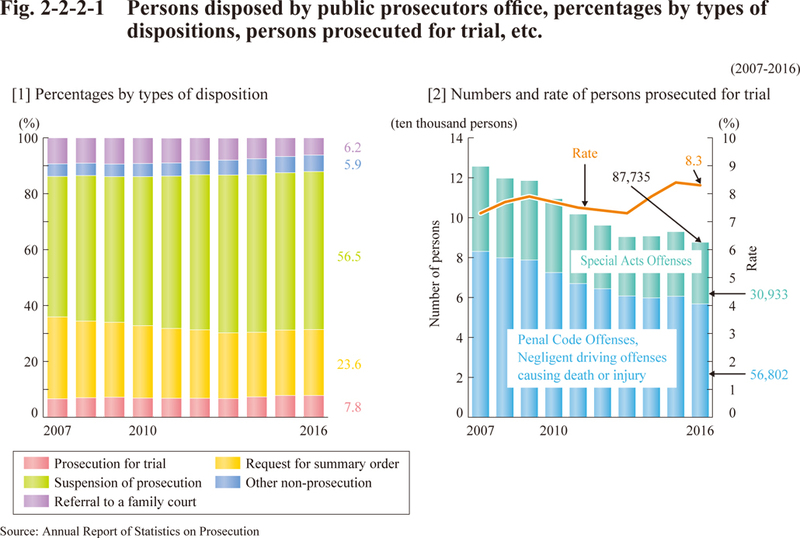 2-2-2-1 Persons disposed by public prosecutors office, percentages by types of dispositions, persons prosecuted for trial, etc. Fig. 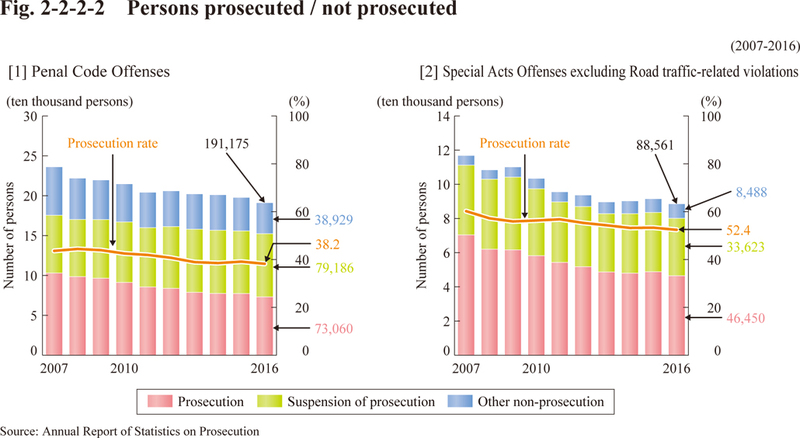 2-2-2-2 shows the trend of number of persons prosecuted or not prosecuted for  Non-traffic Penal Code Offenses and  Special Acts Offenses excluding Road traffic-related violations. Table 2-2-2-3 shows persons not prosecuted, by the reason of non-prosecution for the alleged  Non-traffic Penal Code Offenses and  Special Act Offenses (excluding Road traffic-related violations).